Before you arrive: This section helps you prepare yourself for living overseas, check out the cost of living, check eligibility and get your Employment Pass or EPEC approved, and make arrangements to manage your home country finances, before you leave for Singapore. Moving with your family? Prepare for school admissions for your kids and see if you need to make any special arrangements for your pets. Wondering if you’ve missed anything? See below for the full list of pointers and a checklist for moving overseas. After you arrive: Once you’ve arrived, these tips will help you get your employment pass endorsed, do your house-hunting, open a bank account and apply for a credit card, sign up for a mobile phone, register for various Government services, and learn how to get around. 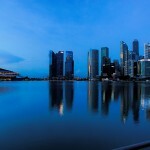 Are you already set on moving to Singapore, and just getting your plans in order? Skip ahead to cost of living or employment pass procedures. Once you’ve got an idea of the cultural adjustments that are in store for you, let’s move on to the practicalities. 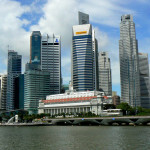 Mercer’s cost of living survey in 2009 showed Singapore moved up three more ranks to become the 10th most expensive city in the world, for expatriates. 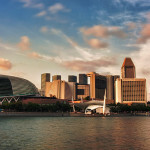 Within Asia, Singapore is ranked 5th, after Tokyo, Osaka, Hong Kong, and Beijing. 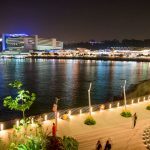 Do some research on how much it will cost you to live in Singapore, and then see if the compensation package you’re being offered will allow you to maintain the same lifestyle. If you’re coming from Australia or Europe, the low tax rates in Singapore will give your net earnings a big boost! On the other hand, if you’re coming from a lower-cost country like the Philippines, prepare to move into a smaller apartment and give up your car – but the money you earn and save in Singapore will help you build up your nest egg. Your biggest expenses are likely to be rent, transport (if you buy a car), and schooling (if you have children studying in international schools). You can minimize rent costs by sharing a flat, living in an HDB, or living further away from the city center – property prices are still on the high side but have started easing off slowly. Read more in our Cost of Living article – expected expenses, what you should expect to earn, and tips for saving money. Not sure if you qualify for an employment pass? Check out the eligibility guidelines on the Ministry of Manpower (MOM) website, or try the online self-assessment tool to see if you qualify. Your employer should help you with your Employment Pass (EP) application. Check the MOM website for the list of required documents. An in-principle approval EP will be issued to you once your EP Online application is approved. This expires after 30 days if you do not get your EP endorsed. The in-principle approval typically takes about 3-4 weeks to process. Planning to come to Singapore first, then look for a job when you get here? You can apply for an Employment Pass Eligibility Certificate (EPEC) from the Ministry of Manpower. If you qualify, this grants you a Social Visit Pass valid for up to a year so you can look for work. You can apply online – processing time takes about seven days. You’ll need to provide electronic versions of these documents: a certified true copy of your tertiary academic qualifications, transcript, or your professional qualifications; a copy of your passport particulars page; and a recent passport photo taken within the past three months. It pays to do some financial planning before you leave home, particularly if you don’t expect to be returning often. If you’re maintaining home country bank accounts and credit cards, make sure you can access your accounts and make payments and transfers online. Ask your bank whether your account might be classified as “inactive” after a certain period of time. If it does – do you risk losing any money to fees or account seizures? Find out what you might need to do to reactivate your account. Are you planning to send money home regularly? Ask around, do a bit of research to find the most cost-effective way to do that, which could mean opening up an account at a bank in your home country that provides good rates on remittances from Singapore. For Filipinos, Metrobank and BPI may be good banking options. For non-resident Indians, both Citi Bank and ABN AMRO have special programs for banking and sending cash while you’re outside India. If you have kids who will be studying in Singapore, you may want to start researching Singapore schools before you arrive. In particular, figure out which schools you like and check for vacancies early, because this may determine in which areas you should try house-hunting. We’ve heard a few stories of families that signed a tenancy agreement, and then had to move after a month or two because they couldn’t find school vacancies in the area for their kids. For information about the school application process and requirements, visit the International Student Admissions Overview page on the Ministry of Education web site. Children on a Dependent’s Pass and studying in a qualified school are exempted from needing a Student Pass. Check the Ministry of Education overview and consult with your prospective schools regarding the documents you may need to produce to enroll your child. For example, in some cases schools may require inoculation or vaccination records. Get these ready before you leave your home country, as it may be difficult to coordinate with your home doctor or your child’s previous schools once you’re overseas. Of course, schools aren’t the only thing you need to think about. Expat Women has a helpful article on relocating with kids, and another one on moving with teens. Are you planning to bring a pet? If you are, check out the Agri-Food & Veterinary Authority of Singapore’s guidelines on importing personal pets well before you plan to arrive. Your pet may need an import permit and will need to meet veterinary and quarantine requirements. In addition, there are some restrictions on breeds of dogs that are allowed into Singapore, as well as the number and size of dogs you can keep depending on the type of building you live in. For example, if you’re planning to live in an HDB you may only keep one dog, of an approved small breed, but if you’re living in a private residence you may keep up to three dogs. Check out the requirements for dog licensing and the list of restricted dog breeds. You’ll also need to talk to the airlines about transportation arrangements for your pet. Some airlines don’t accept certain types of pets, and this varies by airline. Here’s a link to the Singapore Airlines’ pet carriage policy. 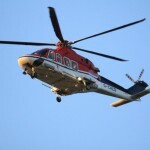 PetTravel.com has a list of pet carriage policies for various airlines. Confirm directly with the airline to make sure you have the latest information. Informal advice from other expats suggests that KLM is particularly good at handling pets. 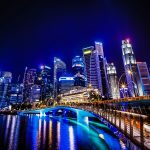 There’s a thread on the Singapore expats forum discussing pet movers to Singapore, and the pros and cons of travelling with your pets versus sending them in advance. Check out this helpful checklist for moving overseas from XpatXperience. 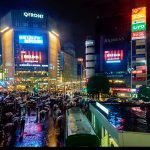 Other expat communities and sites, such as InterNations Singapore and the Singapore Expats Forum, are good places to ask for tips from fellow expats. Submit your passport and white immigration card to your company’s HR department. They’ll also ask you to sign a health declaration form which they should provide. It typically takes less than a day to get your EP endorsed. Someone from HR just needs to bring your paperwork over and get your passport stamped. If you’re not one of the lucky folks whose employers sponsored a house-hunting visit before you arrived, you’ll need to start looking for a place to stay. Company-sponsored expats may be put up in hotels and serviced apartments when you first arrive; do-it-yourselfers can bunk with friends or family while house-hunting. Check out our house hunting tips: what to expect from property agents, what to look out for in your contract, how to get your utilities switched on, and more. Once you have your Employment Pass endorsed, you can open a bank account. Any bank should be fine, but check the minimum maintaining balance and watch out for bank fees, so you don’t get charged unnecessarily. Bring your green embarkation card (the Employment Pass), your passport, and enough cash for the opening balance. Bank-to-bank electronic transfers within Singapore typically take 1-2 days. DBS Bank (of which POSB is a subsidiary) seems to be the most popular, but shop around. Check the credit card offerings too, to help you decide. Bring your passport, your employment pass, and a company ID. Most standard credit cards require a minimum annual income of $30,000 – sometimes more. Some banks may require a copy of a recent payslip to prove your income. 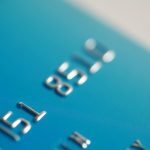 In the past few years, the government has recently some banking regulations, allowing banks to offer credit cards with no minimum income requirement. These cards have a maximum credit limit of $500. Another good option for those under the minimum income requirement is a debit card. Various banks offer Visa and Mastercard affiliated debit cards, with no minimum income threshold. You’ll be spoiled for choice in Singapore when it comes to credit cards. There are lots of good offers. Almost every card offers some kind of rebate and a bunch of freebies. Citi Bank can give you your card in 3 hours if you have all the requirements. DBS, as of our last check, requires you to send in the application form by mail. Check if your employer gets corporate discounts. Bring your employment pass and passport (and a company ID if you’re getting a corporate discount). Buying the phone is independent of the service contract. You can decide to buy a new handset later on if you like (and you’ll get a promotional price if you’re willing to commit to a couple of years’ service). Another option is to get a prepaid phone card. This works well if you are only in Singapore for a short period, or if you’re based in another country but frequently travel to Singapore. You may also want to explore a prepaid card if you’ve been keeping two phones (a Singapore phone, and one from your home country) – special prepaid phone cards can help you get lower rates for calls and text messages to and from your home country. If you’re from the Philippines, the Singtel Kababayan Card (also called the Kabayan Card) offers a cheap way to keep in touch with Globe and Touch Mobile subscribers. Offers include v019 IDD calls to Globe and Touch Mobile subscribers in the Philippines at local airtime rates, and free incoming calls. It’s cheap for your friends and family back home too – Globe subscribers can text you for just one peso, and both Globe and Touch Mobile subscribers can call you for P7.50 per minute. Check out the Kababayan card overview at the Singtel website, or check the FAQ for the latest rates and offers. Apply for a SingPass. This will create a single account and password for you to access various online services. You’ll need this for filing taxes. Check out the tax section on the Practicalities page, to get a head start on figuring out how much you’ll need to pay and when. If you’re planning to drive, you can drive using your home country driver’s license during your first 12 months in Singapore. After that, you’ll need to convert your license – see the Driving in Singapore section for more information. If you haven’t already, buy an EZLink card to use on public transport. Check out the Getting Around page for tips on navigating the bus and train system, making sense of Singapore’s taxi surcharges, and the number to call to book a taxi by phone. 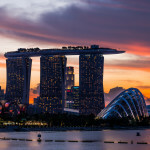 The Driving in Singapore section contains links to information on the cost of owning a car and how to convert your home country driver’s license. Now that you’ve got all the basics settled, check out the Practicalities section for information about food, taxes, fees, fines and other things you need to know. 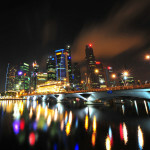 Take a look at Meeting People for ideas on building your network of acquaintances in Singapore.